There is a lot of soul in Detroit, a city that has a hard time over the past few years, but Howard Glazer is a great representative of the Motor City as is passionate for the city as he plays his own brand blues. His efforts have been noticed and he is certainly appreciated in his homeland, having been inducted into the Michigan Blues Hall of Fame and earning the 2014 Outstanding Blues/R&B Instrumentalist at the Detroit Music Awards. Howard’s sixth solo album, Looking in the Mirror, is a wonderful blend of blues, funk, psychedelic rock, and swamp rock. He handles the guitars and vocals, and is joined by a capable crew that includes Chris Brown on bass and Charles David Stuart behind the drum kit, with additional vocals from Maggie McCabe and Stephanie Johnson. After cranking it up, you will find an hour of quality music with twelve original tracks written by Glazer, and not a cover song in sight. The CD kicks off with the bawdy “Midnight Postman,” a rhythm and blues song with a healthy injection of funk and some fabulous B-3 work from featured artist Larry Marek. Glazer has the guitar chores nailed with his intuitive feel for the fretboard, and the ladies do a marvelous job of backing up his tenor vocals as he throws double-entendres out like a madman. As you get deeper into it you will find that this album keeps things lively, and a great example of this is “All I Ever Wanted,” a refreshing blend of Creedence Clearwater-inspired swamp rock, interjected with a neat chorus featuring the ladies, not to mention a classy bass and guitar bridge. This song highlights what a terrific backline Glazer has found with Brown and Stuart! Howard’s thoughts never go too far from his hometown, as shown by the jaunty 12-bar shuffle, ”Walking in Detroit.” He trades off on the vocals with McCabe as they call out the finer parts of the city, with a little help from the tasty trumpet work of David Kocbus. But when this fun song is over, Glazer does not let you forget that Looking in the Mirror is a guitar-driven blues album. 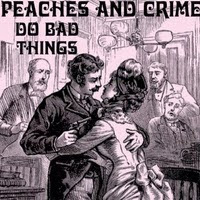 He viciously tears through the next tune the playlist, the slow-burning “Eviction Blues,” which could very well be the standout track of the CD. A very close second place for best song on the album is “Feeling so Bad,” Howard’s tribute to the late Johnny Winter. Glazer brings out his resonator guitar, and his slide work is a real treat. 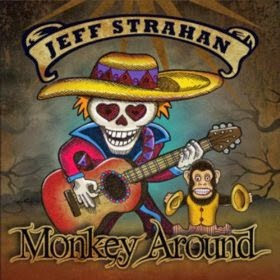 This bare bones song provides another piece of the blues puzzle for this project, and with the rest of the instruments stripped away it is a great showcase for what this man can do with his guitar, and the effect is amazing. The set closes out with “Emergency” and no matter what you were expecting, there was no way it could be as awesome as this song! This is an epic psychedelic swamp song with crazy wah-soaked guitar tone and some tasteful electric flute from guest artist Tom Schmaltz. You heard that right: electric flute! This is not shtick – it is a heavy song that digs into the woes of the once-proud industrial capital of the United States. This song exemplifies what Glazer has accomplished with this disc, as he pushes musical boundaries to their limits while still managing to keep things tasteful. 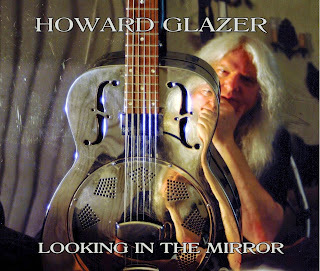 Looking in the Mirror is a fine album, and Howard Glazer should be proud of what he has done here -- there are not many better ways to spend an hour of your time! So, why don’t you head on over to www.howardglazer.com to check out his catalog and to find out if he has any shows coming up in your area? I have always been kind of a guitar snob, so I have not really given LTD guitars much of a thought until recently , as their parent company, ESP, builds some of the best production instruments on the planet. Well, I was wrong, and the LTD M-10 we are looking at today is a smoking deal for the money. In case you are not familiar with ESP, this Japanese company has been building amazing instruments wince the 1980s, and are the favorites of guitar gods such as Kirk Hammett and George Lynch. 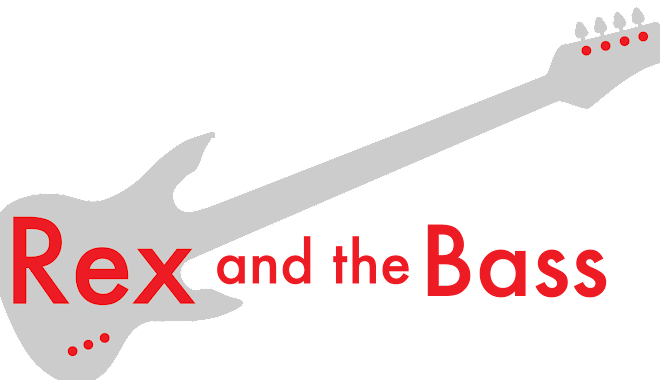 Unfortunately these guitars are ungodly expensive, so they introduced the LTD line to make their popular models more affordable for us common folk. The hardware, electronics, and wood are a little cheaper, and the labor costs are a lot lower as they are put together without using Japanese labor – this LTD instrument was built in Vietnam. At first glance, the M-10 looks like a metal machine with its pointy headstock and bright red finish, but looks can be deceiving. It can do metal fine, but without the prerequisite locking tremolo (or any tremolo at all, actually) it ends up being a better blues or rock guitar. This LTD is a bolt-neck instrument with a basswood body that has fairly aggressive angles and cutaways. The maple neck has a surprisingly well-figured rosewood fretboard with 22 jumbo frets sunk into it. The neck has a flat U profile, and it measures about 42mm at the nut. The nickel hardware includes LTD-marked sealed-back tuners and a tune-o-matic style bridge that actually strings through the body. The electronics are simple, with two ESP LH-100 humbuckers that are wired through a 3-way switch and master volume and tone pots. This is a simple guitar design, but it has a very nice look to it, and it is put together exceptionally well, particularly when you consider the price point. The fretwork is good, the neck is straight and the finish is nice and even. The neck pocket edges are a bit ugly, but I have seen worse on new Fender instruments. It came with a good set-up right out of the box, too. It plays well, and its 25.5-inch scale length makes it play a lot like a Stratocaster. The neck is very fast and there is good access to the upper frets; I did not find any buzzing or dead frets. It sounds good enough, though the humbuckers seem a bit dry and brittle. This guitar sounds better with a touch of processing, and would really come alive with a set of EMG 81/85 pickups, which would cost more than the guitar did in the first place. As an added bonus it weighs in at a mere 6 pounds 10 ounces, so it will not kill your back. There is not much to complain about here, the LTD M-10 is a solid guitar that will get the job done! The ESP LTD M-10 is one of the best entry-level guitars out there with a list price of $284 and a street price of $199, which I believe includes a nice gig bag (the one that showed up here did, anyway). We are truly in the golden age of affordable guitars that play well and sound good, so if you are looking for a first instrument or a solid backup, this should be near the top of your list. As a Martin guitar fanboy, it is surprising that I have not reviewed any of their ukuleles yet. Over the next few months I am going to take care of this oversight, and today we are looking at one of the company’s more affordable models, the S1 soprano uke. If you know anything about guitars, you are probably aware that Pennsylvania’s Martin Guitars is the premier mass-production luthiers in the world. Every major artist has played their instruments at one time or another, from Eric Clapton to Johnny Cash to Elvis. Well, they make other instruments too, and they have been in the ukulele business for a long time, and they currently make instruments that cost anywhere from a few hundred dollars to $5000 and more. The S1 is a soprano uke, and it replaced the miserable S0 model a few years ago. The S0 had a slew of features, including a tinny sound, no fret markers, poor bracing, bridges that did not want to stay put, and a super-thin body that would crack if you looked at it funny. The S1 fixed all of that stuff! It is a handsome little ukulele, with a clear satin finish over the all-mahogany body, that has more complete Spruce bracing than the model it replaces. There is a Spartan aesthetic with no binding to be found anywhere, and a simple white and black rosette. No electronics are available, and you can get one of these as a lefty, if you wish. The neck is also mahogany and it has a rosewood (or is that Morado?) fretboard. The fretwork on this one excellent, and I cannot ever imagine wearing them out with nylon uke strings. The bridge is made of rosewood, and there is a Tusq nut and compensated saddle. The Grover tuners are basic straight pegs through the headstock, and they are adjustable for tension, fortunately. The S1 ukuleles are made in Mexico, but the quality appears to be as Martin’s domestically produced instruments, which is not something I would say about the S0. The finish is clear and even, the joints are tight, and they come out of the box with a good set-up so they are ready to play. 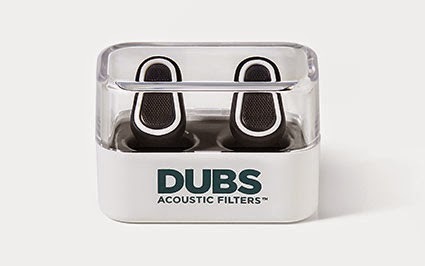 Don’t sniff at where they are made – there is no way Martin could hit this price point if these things were built in the America. It plays very well, with good intonation, a sweet neck feel, and it is comfortable to hold. It also sounds very good, with nice projection and a sweet tone that makes it sound older than it is. Of course it is awfully small for a big guy like me, but this one is tiny so it is perfect for traveling, especially with the uber-nice TKL gig bag that it comes with. Let me also say that this is the lightest Martin instrument I have ever owned, coming in at round 13 ounces. 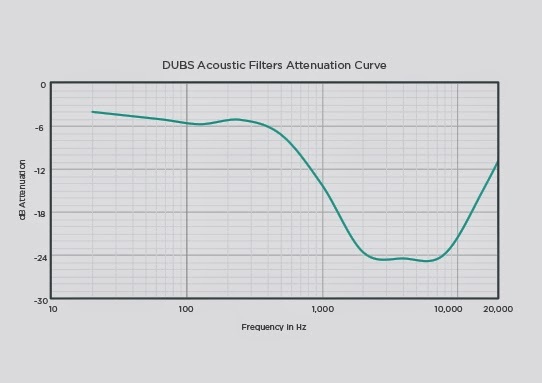 The Martin S1 is a good instrument that comes in at a reasonable price (list = $499, street = $379), and I am glad that Martin stepped up and made a better instrument this time around. But, it is not as good of a value as the horde of medium-grade ukuleles that are coming out of China by the container load. Those instruments are at least $100 cheaper, are often prettier, and sound almost as good. You will not go wrong with the Martin, but you might want to compare before you buy. For the past few years I have been working my way through the huge crop of micro tube guitar amplifiers that are on the market. There are so many I will never get through them all, but they all have a few things in common: they have less than five watts, are easily portable, and they sound pretty good. Also, most of them are combos and they are pretty cheap, which makes today’s selection a stand out from the crowd. 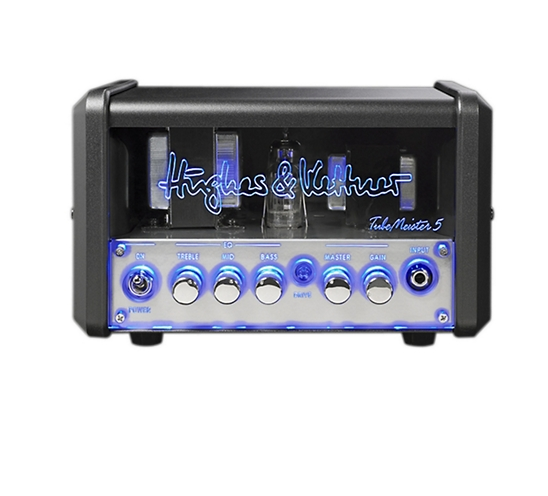 The Hughes & Kettner TubeMeister 5 is a head-only amp that costs about twice what most of the combos do. This amp exudes coolness just by the look of it. It is indeed small, measuring around 12 by 15 by 9 inches and weighing in at a mere 17 pounds. It is a single-channel all-tube amp with a 12BH7 power tune and a 12AX7 preamp tube. It has classic styling with a cool blue backlighting to the clear front panel when it is switched on. Using the Tubemeister 5 is very straightforward as the controls are simple. On the front there is a power switch, a single ¼-inch input, a 3-band EQ, master volume and gain knobs, and a drive switch. The back has an IEC power socket, a single ¼-inch 8/16 ohm speaker out, a Red Tube balanced XLR direct out, and a power soak switch. - Drive switch: provides a lead amp sound with high gain potential; when it is activated, the switch glows red. - Power soak switch: replaces the loudspeaker and converts the power-amp output to heat. 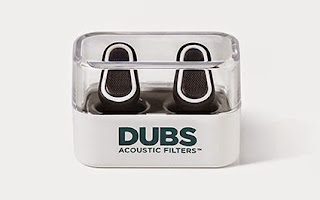 This allows silent practice and recording via the XLR into a mixer. Power soak is activated automatically to protect the amp if nothing is plugged into the speaker out. - Red Tube balanced XLR direct out: a Hughes & Kettner, guitar DI box with mic’d 4 x 12" speaker cabinet emulation. 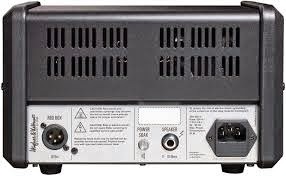 It converts the speaker line out signal, which is generated between the tube power-amp and the power soak, to a balanced, frequency corrected signal. The Tubemeister 5 has plenty of volume (relatively speaking), and it has incredible tone. With the drive switch off, it has a very clean and glassy sound, and it goes full overdrive crunch when it is engaged. It does everything from Pink Floyd to GNR, and everything in between. 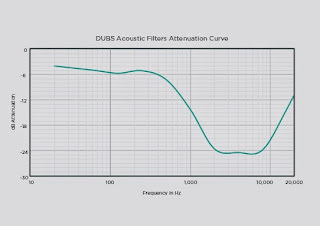 The DI has amazing fidelity, and it really nails the overdriven speaker tone for recording. I wish it had a headphone out, but I have a few small mixers that will work with the DI to provide a headphone channel. Also, it would be nice to have a footswitch for the drive switch. Other than these few minor quibbles, this amplifier really delivers the mail. The Tubemeister 5 is the best of the mass-production small all-tube guitar amplifiers that I have found so far. Its versatility and tone make it a leader in its class! If you do not need a ton of power, or if you are looking for pure tube tone for recording without half-hearted bells and whistles the Hughes & Kettner TubeMeister 5 would be the perfect amplifier for you. As I said earlier, it is not as cheap as its competition with a list price of $499 and a street price of $299 (included the padded gig bag), but in the end you get what you pay for. If you are an entertainer that is going to go by one name (like Sting, Cher or Bono), you had better have the talent to back it up, and Niecie passes this test easily. Niecie has moved all over the United States in search of the blues, and has done a marvelous job of honing her chops along the way. Originally from Detroit, she left the Motor City for Chicago, where the blues found a home in her heart. From there she tried Las Vegas, Los Angeles, and Boston (home of the Berklee College of Music! ), but finally settled in Nashville, arguably the songwriting capital of the US. Nashville also has the distinction of being home to some of the finest musicians and producers around, and since moving there Niecie has taken advantage of this and cut three well-received albums, the latest of which is Wanted Woman. Wanted Woman is a slick piece of work thanks in part to producer Johnny Neel, who you may know from his work with the Allman Brothers, Gov’t Mule, and Dickey Betts. Johnny also contributed on the keyboards and Hammond B-3, as well as with his songwriting skills. 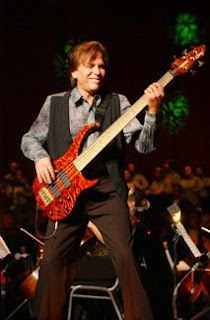 Other musicians on this project include Dennis Gully on bass, Chris Anderson on guitar, and Daryl Burgess on the skins. Also chipping were Danny Hamelin and Jon Conley on the extra guitar parts and Kim Morrison on backing vocals. Oh, and Niecie on lead vocals, of course! Not being familiar with Niecie’s previous work, I did not know what to expect so I was pleasantly surprised by how hard she can rock. 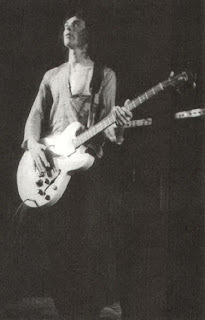 There are eight original tracks on Wanted Woman, with Neel getting writing credit on all of them, and Niecie on three. The content is huge sounding blues/rock, and things get up to speed quickly as ”Traffic Light” kicks the album off on an upbeat note. This song is more rock than blues, with a classic driving bass line and heavy drums that are perfectly executed by her stellar backline. The lyrics are quite funny, and she delivers each punch line right on cue with her distinctively throaty voice. Wanted Woman ends up with a testimonial, “God’s Got This,” which I have to assume is autobiographical because Niecie got writing credit for it. It has a 1970s funk feel with heavy synths, organ, popping bass and syncopated guitars galore. It is not preachy by any stretch of the imagination, but it lets you know where this lady stands, and it is always good to finish an album on a positive note. 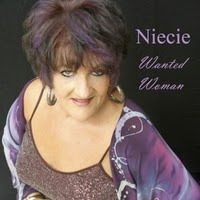 Niecie has put in a lot of hard work since she first arrived on the Chicago scene three decades ago, and it has all paid off with her latest album, Wanted Woman. This is a great collection of well-written songs that were recorded by the best in the business, and she should be proud of what she has accomplished. I hope you get a chance to give it a listen!